So you’ve got your story working, but how do you sketch out the atmosphere on a fictional planet? Maybe you have some idea of the mass, radius and gravity and you’ve got the orbit in the ‘sweet spot’ goldilocks zone where liquid water can be present on the surface, but what will conditions on the surface actually be like? What sort of factors go into whether that planet, presumably an Earth-like rocky world, will have an atmosphere that can support terrestrial life? The gravity of the planet is one key variable, along with surface temperature, and the strength of the planet’s magnetosphere, which can protect against atmospheric stripping due to solar wind. The surface temperature of a planet will determine how much kinetic energy, and so velocity, the gas particles will have. If that temperature, and velocity, is high enough it will exceed the planet’s escape velocity and the molecules will fly off into space like tiny spaceship explorers. Earth has lost most of its very light gases like hydrogen and helium in this way, whereas the gas giants have enough gravity to retain them. We kept our water, and we’ve got a lot of it! 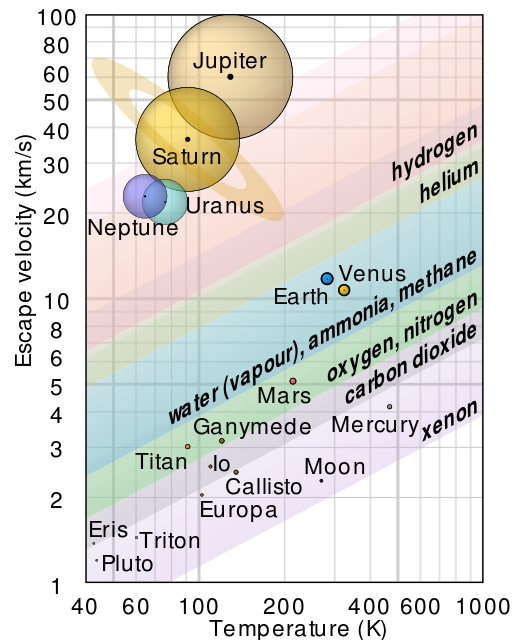 If Earth was sitting where Venus is things would be different, the additional temperature would give those lighter gases like water vapour enough energy to escape, and also prevent any being trapped on the planet’s surface itself (whereas some is ‘sequestered’ on Earth as water and ice at our lower surface temperature). But beyond the early, settling down period where the lighter gases are lost, any world larger than Earth, orbiting in that goldilocks zone, will not continue to lose a significant proportion of its atmosphere through thermal processes. Here’s a cool pictorial on thermal escape (source: Wikipedia). Beyond that thermal stripping process, is where the magnetosphere comes into its own, deflecting the solar wind – one of the main non-thermal processes leading to atmospheric loss. The very thickness of a planet’s atmosphere (retained due to its gravity, and as a function of surface temperature), will also protect a planet from the solar wind, even in the absence of a magnetosphere. It’s thought that Venus’ thick atmosphere, ionized by solar radiation and the solar wind, produces magnetic moments that act out to 1.2-1.5 planetary radii away from the planet to deflect the solar wind, much like a magnetosphere (but an order of magnitude closer to the planet). In fact, it’s thought the dominant non-thermal atmospheric loss process on Venus is actually from a type of naturally induced electrical acceleration. On Venus, the stripping of the lighter electrons from the atmosphere causes an excess of positive charges, accelerating ions like H+ out of its atmosphere. Our explorers need a breathable atmosphere, but they also need an atmospheric pressure like our own Earth’s. My fictional planet of Cru, in the Tau Ceti Diversion, has comparable surface temperatures to Earth, but a higher surface gravity. The higher surface gravity, and its lower density, allowed me to assume a lighter atmospheric composition, and allow an atmospheric pressure, or weight of atmosphere, close to surface much like Earth’s. That atmospheric composition is crucial to having a reasonable atmospheric pressure – its not just the gravity of the planet. Venus, even though it has slighter lower gravity than Earth, has a crushing atmospheric pressure of 90 times Earth’s due to its heavier atmosphere of CO2. Check out what my my intrepid explorers found in my novel The Tau Ceti Diversion when they touched down on the planet! Read it now on Amazon! So you want to estimate surface gravity on a fictional planet? Easy! One of the things I had to do as part of the rework of my novel The Tau Ceti Diversion, is to try and work out the surface gravity of my fictional planets. From the Kepler data, there are two exoplanets located in the Tau Ceti system that are likely to be in the system’s habitable zone, or where there is the possibility of liquid water on the surface, and perhaps life as we know it. To play around with my estimates of gravity, I used ratioed rearrangements of Newton’s law of gravity (law of universal gravitation) and a simple formula relating the density of a spherical planet to its mass and radius (these are at the bottom of the post in the ADDENDUM). The two planets thought to be in Tau Ceti’s habitable zone are denoted Tau Ceti e and Tau Ceti f. What is known about these two planets is their likely orbit, eccentricity, and their mass. All of these properties have been derived by calculation, based on observed data, so are all known to within appropriate error bounds, but I’m leaving the error off my scribblings so things don’t get too messy. Tau Ceti e is thought to be around 4.3 Earth Masses, or Me (i.e. 4.3 times as heavy as Earth), while Tau Ceti f, the planet that orbits a bit further out, is thought to be around 6.67 Me. For the astronomically minded, these two planets orbit at around 0.55 and 1.35 AU from Tau Ceti respectively. So, here’s where I cheated a bit, like any good engineer. I started with the answer I wanted and calculated backwards to see if the answer I wanted led to reasonable base assumptions. This is not as cheeky as it sounds, because when you have an insoluble problem (i.e. not enough data is known for an explicit result), an iterative approach is often used. For my story to work, I needed a surface gravity on my planet of no more than 1.2g – that’s twenty percent higher than Earth’s. But how could I get a gravity that low on a planet that was over 4 times the mass of Earth? The answer is that surface gravity is a function of mass and radius, or going a step further along the calculation path, mass and density. I used a ratioed form of Newton’s law that allowed me to relate the ratio of two planets gravitational forces to the ratios of their masses and radii. I already knew the ratio of the gravities ( assumed at gTCe/gE= 1.2) and the ratio of the masses (MTCe/ME = 4.3), so could calculate the ratio of radii (rE/rTCe) at 1.89. Using another formula that related the ratio of the two planet’s densities to their ratioed mass and radii, I could then calculate their ratioed densities (dens TCe/ densE) at 0.63. So at the end of all that, to have a surface gravity of 1.2 g, Tau Ceti e would have to have a density of 63% of Earth’s. Is that reasonable? The density of Earth is 5.514 g/cm3, not too much different from the density of a rocky planet like Mercury (5.427 g/cm3), but a lot higher than other solar system planets like Jupiter and Uranus (1.326 g/cm3 and 1.27 g/cm3 respectively), comprised of lighter materials. A surface gravity of 1.2g on Tau Ceti e would put its density at around 3.5 g/cm3, less dense than our own rocky planets, but certainly in a feasible range. So what sort of densities would you expect for the Tau Ceti system? One clue is the metallicity of the system, which is a measure of the ratio of iron to hydrogen in the star’s makeup. In the case of Tau Ceti, this is estimated to be around one third of our own sun. This indicates the star is likely to be older than the Sun, made up of stellar remnants left over from less evolved stars that have not had time to form as much of the heavier elements in their internal fusion factories. So Tau Ceti is made up of lighter elements. Based on this, it was reasonable to assume that the planets in the Tau Ceti system would also be made up of proportionally lighter elements, and quite possibly in the range I had estimated. Tau Ceti e and Tau Ceti f are also large planets – much larger than our own Earth – so having a density in between Earth and our own gas giants also made sense to me. Using the same planetary density I had calculated for Tau Ceti e, for the larger Tau Ceti f, gave me a surface density of around 1.4g for the bigger planet – just a little too high for feasible human colonisation – and that fit nicely with my story as well. It was a lot of fun playing with these calculations, and thankfully the known science fit with my story, at least with some comfortable wiggle room! Check out what challenges that increased gravity provided for my intrepid explorers in my novel The Tau Ceti Diversion! For those interested in the maths. . . The Tau Ceti system is indeed one of our close cosmic neighbours. At less than 12 lightyears away, it is one of the closest systems to Earth’s own solar system – along with others such as the Centauri system and Epsilon Eridani. Because of its nearness to our own solar system, it has been a favourite in science fiction for decades. A likely first or second step for any intrepid interstellar explorers. I first started toying with the idea of a novel set in the Tau Ceti system more than twenty years ago. And as these things go, the story developed in fits and starts as I bounced between novel projects and other stories. One of the things about writing science fiction, particularly near-future SF, is that the science never stands still. And particularly, in the last few decades, the developments in astronomy and the identification of planets outside our solar system, called exoplanets, has been almost exponential! When I wrote the first draft of The Tau Ceti Diversion, there was not a single confirmed planet identified outside Earth’s solar system. Now, thanks largely to the latest Kepler space-based telescope discoveries, there are more than 3000! Not only that, but there have been five identified in the Tau Ceti system itself, with one – and possibly two – in the habitable zone around that star. What did this mean for me? It meant a ton of research, and lot of very careful rewriting! In my very early drafts of The Tau Ceti Diversion, I was free to imagine an Earth-like solar system of planets and shape them as I saw fit for the story. But by the time the last draft was completed, only months ago, I had very specific information about what those planets might be. I knew their approximate mass, their orbits, even their eccentricity. I had to go back to the drawing board – and my excel spreadsheets – to try and work out how these known planets would fit within the very specific constraints of my story. Not the least of which was that my story included a tidally locked planet! It’s no accident that the Tau Ceti system has been popular as a setting for science fiction. Even before the identification of its family of planets, Tau Ceti, in the constellation of Cetus, was known to be very similar to our own Sun. It is smaller, about 78% of the Sun’s mass, and is the closest solitary G-class star (the same spectral class as the Sun). That’s enough to make it seem like our cousin. Add to that Tau Ceti’s stability, and lack of stellar variation, and you already feel like moving in. The only hitch is the presence of a debris disk, which means that any planet orbiting Tau Ceti is likely to face more impact events than planets in our own solar system. Seen from Tau Ceti, the Sun would appear much like Tau Ceti does to us – a third magnitude star visible to the naked eye. The composition of Tau Ceti, as measured by the ratio of its iron to hydrogen content, or metallicity, is lower than our Sun, indicating that it is older: its makeup derived from earlier stars yet to manufacture the same amount of heavy elements in their internal fusion factories. So similar to our own Sun, and so close, it’s no wonder that it is also a target for the SETI (Search for Extra-Terrestrial Intelligence) program. As readers of my novel The Tau Ceti Diversion will discover, the explorers in my novel certainly find some intelligent life there! Going faster than light is the Holy Grail of space travel, and is often depicted in science fiction. It seems as easy as flicking the switch to jolt the ship into Hyperspace. I mean, it worked for Han Solo, right? It was Einstein who first postulated the idea that the speed of light is constant in any “frame of reference”. Basically, no matter how fast you were going, light would always be moving away from you at the same speed. As counter-intuitive as this was, his theories of special relativity and general relativity have been borne out by direct observation and experiment. Just about all of us use GPS data on a daily basis, with signals pinging from our smart phones through our networks to global satellites. The clocks on those GPS satellites all run slower than those on Earth, a direct prediction of relativity, and corrections are used on a routine basis to bring them into line with their “stationary” counterparts. Astronomers also routinely use Einstein’s predicted ‘gravity lensing’ to make observations of the universe, and have used this technique to pin down the enigmatic ‘dark matter’ that makes up so much of our universe. So if Einstein’s predictions tell us we can’t go faster than the speed of light, is that it for our desire to go speeding through the Universe in our faster-than-light spaceship? Interestingly enough, not necessarily. . . There are two potential loopholes than emerge from Einstein’s work, and both of them have to do with the way spacetime can fold up. The ‘warp drive’ and the more familiar idea of wormholes. The warp drive, originally a concept from science fiction, is familiar from just about every episode of Star Trek. The idea for the warp drive is that spacetime would be expanded behind the spaceship, and compressed in front of it, to such a degree that the ship would seem to flash through vast distances in moments. The ship itself would not actually be moving, but be inside a ‘warp bubble’. This is a pretty exotic solution of Einstein’s equations, but physicists have shown that it is possible – at least mathematically. Despite moving so fast, the astronauts would not be subject to any inertial effects because they are not actually moving. They would, however, be in a state of ‘free fall’, due to the angle of folded space in front of them. Some people have questioned whether our warp drive pilots would get cooked by intense, blue-shifted light, but the jury seems to be still out on that one. The warp drive has been dubbed the Alcubierre drive, after the physicist who first proposed this solution. Believe it or not, the theory was evolved by Alcubierre in response to the use of the warp drive on Star Trek. The travellers on the warp drive capable ship would be cut off from the outside universe, riding on a ‘wave’ of compressed space, along a corridor or warped space-time that would probably have to be constructed in advance, like some sort of cosmic superhighway. Alcubierre himself muses “We would need a series of generators of exotic matter along the way, like a highway, that manipulates space for you in a synchronized way”. The graphic below gives a 2-dimensional representation of the spacetime around the ‘warp bubble’, stretched to create a gradient pushing the ship forward. Just don’t try to leave the bubble – you would get ripped apart. To make the Alcubierre drive work we need a pretty exotic fuel – either negative matter or negative energy to be precise. Now that’s negative matter – as apposed to dark matter (which is invisible but has weight) or antimatter (positive energy but reversed charge). Both dark matter and anti-matter have been proven to exist. So far there is no proof that negative matter exists. If it did, it would fall up rather than down, and would have left any solar system long ago (being repelled by ordinary matter) and be drifting out in the middle of nowhere somewhere. So finding negative matter is going to be hard, but perhaps possible using gravity lensing techniques. Negative energy, though – believe it or not – has been demonstrated by experiment. In the experiment, two plates in a vacuum, positioned very close together, experience a net movement toward each other because of the ‘pressure’ difference of virtual particles being created at the quantum level around and between the plates. These are electron-antielectron pairs that burst out of nowhere for incredibly brief periods of time, then disappear as they collide (preserving the average energy stat). As brief as their appearance is, the particles create a real effect. That ‘pressure’ causes the predicted movement in the plates, and that equates to a net amount of energy. Since that energy is coming from ‘nowhere’ (and energy must be conserved) to make the whole system balance the plates have a net negative energy left between them. And how much? The effect, called the Casimir effect, was measured in the laboratory in 1996 at Los Alamos. The attractive force is the equivalent to 1/30,000 of the weight of an ant. We would need a lot more than that! As a civilization, we are a long way from any faster than light travel, even if it is possible. It’s true that Einstein’s equations give solutions that show the possibility of both the warp drive and even wormhole travel, but are these real possibilities, or mere mathematical curiosities? If it is possible, we would need an awesome amount of energy. It’s estimated that to keep a transversable wormhole open wide enough to allow human travellers to pass through, you might need as much as a Jupiter mass of negative energy. That’s clearly well beyond us now. That doesn’t mean we can’t reach the stars, just that we can’t get there quickly! Fusion drives, or even antimatter drives, or a combination of the two, will enable us to construct starships that could travel at respectable fractions of the speed of light. In my novel, The Tau Ceti Diversion, the starship Starburst uses a fusion drive, assisted by an antimatter ‘burst’ to reach a new solar system and look for planets to colonize. Much of the action in the book takes place on planet tidally locked to Tau Ceti, some 12 lightyears away. The novel was officially launched on 1st September 2016, and is available in both electronic and print formats! Grab a copy! One of the key elements of my novel the Tau Ceti Diversion was the unique setting I imagined for the story. Specifically, an alien planet where the top evolutionary niche was filled by an intelligent insect race. So I needed to think about insect evolution, and how that evolution was affected by the amount of oxygen those insects could take in from the planet’s atmosphere to fuel their metabolism. Now, it wasn’t going to be too much fun to have my human crew menaced by determined ladybugs or extremely intelligent grasshoppers two inches long, so I needed big insects! I needed a world where the entire biosphere – every single evolutionary niche, both large and small – was filled with insectoid life. You think people shudder when they have to shoo an insect out of the living room window with a rolled up newspaper, how about having to face a three metre tall intelligent being, staring back at you with multi-faceted insect eyes? Creepy? Stay calm space-explorers! On Earth, insects are small, and a variety of other life has evolved to claim the top evolutionary spots in the food chain. The size of insects on Earth has been constrained by two main factors, the way they take oxygen into their bodies, and the amount of oxygen in the atmosphere. Change those two things, and everything changes. Insects were here first. If not for those two constraints, our little furry ancestors would probably never have made it out of their burrows, let alone up the primate tree. Earth’s insects don’t actually breathe in the way that mammals do. Our insects take oxygen into their bodies through the process of diffusion, the precious oxygen passing across membranes directly into their cells, with waste gases passing out of the cell walls in the other direction. Our insects have a series of holes in their abdomen, called spiracles, that allow air to enter their bodies. From there, incoming air moves into a network of tiny tubes called tracheae. 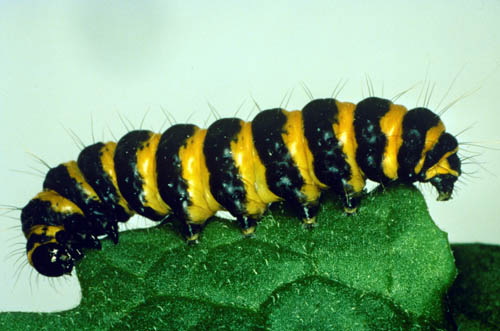 The biggest bugs have the longest tracheae, to allow them to get the most oxygen into their bodies. Insects have a very limited ability to use their oxygen absorption equipment. They can open or close the spiracles by muscle contraction, and they can also pump muscles inside their body to try and increase the amount of air passing through the tracheal system, but to limited effect. The amount of oxygen they can extract from the air is always going to be limited by the tracheae shape and the rate of oxygen diffusion through the cell walls. In the Tau Ceti Diversion, human explorers come face-to-face with evolved life dominated by insects, thanks in part to the planet’s high oxygen atmosphere, and an evolutionary adaption of the alien insects that has given them true lungs. That’s not to say Earth didn’t have some big insects. At the moment our atmosphere has around 21% oxygen (by volume). The concentration of oxygen in the air has gone up and down throughout Earth’s history, mostly in response to what was happening in the biosphere. Toward the end of the Carboniferous periods (300 million years ago), oxygen peaked at a maximum of 35%. 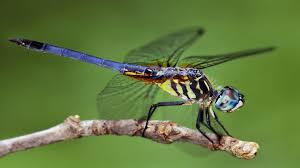 At this time there were some pretty impressive insects – like dragonflies with wingspans of over a metre in length. That’ s one hell of an insect, and all with basic air diffusion to get the oxygen into its body. On my fictional planet of Cru, orbiting Tau Ceti, the oxygen concentration in the atmosphere is more than 30 percent, which certainly makes things fun for the explorers. They not only have to deal with huge insect life, but also have to deliberately moderate their breathing to prevent hyperventilation, and they have to be careful how all that extra oxygen makes any sort of combustion in the atmosphere more aggressive. My novel, The Tau Ceti Diversion, is a story about our search for new planets to colonise outside our solar system. Much of the action takes place on planet tidally locked to Tau Ceti that has some rather unique life forms. The novel is due to be launched on September 1st 2016 – not long now! – and pre-order is available on Amazon! Read more about what happens in the story here! Stay tuned for a free chapter download, coming soon! 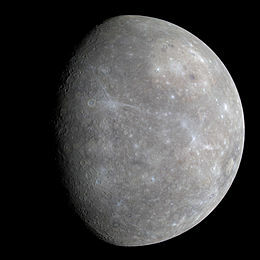 Mercury’s tidally locked orbit is a good example of how the universe always throws astronomers a few surprises. The planet is tidally (or gravitationally) locked to our Sun, but this is not the typical “synchronous” tidal locking with a 1:1 ratio of rotation and orbit, such as the Moon and Earth, with the same face always presented to the larger partner. Mercury is locked into a what’s known as a 3:2 spin-orbit resonance, which is unique in our solar system. The thing about the universe is that things look different from different places. Although Mercury’s orbital period is around 88 Earth days, from Earth it appears to move around its orbit in around 116 days (because we are moving too). With Mercury’s 3:2 resonance it rotates exactly three times for every two revolutions the planet makes around the Sun. Yet the Sun is also turning. From the Sun’s frame of reference, Mercury appears to rotate only once every two Mercurian years. So the little yellow men who live in the caves there have to wait two years to see a single day go by, or about 176 Earth days. Birthdays must be complicated! So how did astronomers get the idea that Mercury was synchronously locked to the Sun? This was because whenever Mercury was best placed for observation it was nearly always in the some point in its freaky 3:2 orbital resonance, so was showing the same face to observers on Earth. Since, by coincidence, Mercury’s rotatation (58.7 Earth days) is almost exactly half of its orbital period as observed from Earth (116 days). It was not until the radar observations of the planet in 1965 that astronomers learned the truth of its orbital antics. Mercury has virtually no atmosphere, and is at the mercy of the Sun. Its surface temperature can rise on its equator to 427C (800F) during the day, and plummet to -173C (-280F) at night, while the poles are little more stable at around -93C (-136F). Although the planet has a small tilt, it has the highest orbital eccentricity of all the solar system planets, its orbital distance from closest (perihelion) to furtherest from the Sun (aphelion) varying by as much as 1.5 times. Like our own Moon, the surface of Mercury is heavily cratered, indicating that the planet has been geologically inactive for billions of years. 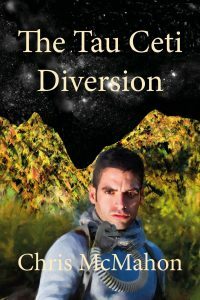 My novel, The Tau Ceti Diversion, is a story about our search for new planets to colonise outside our solar system. 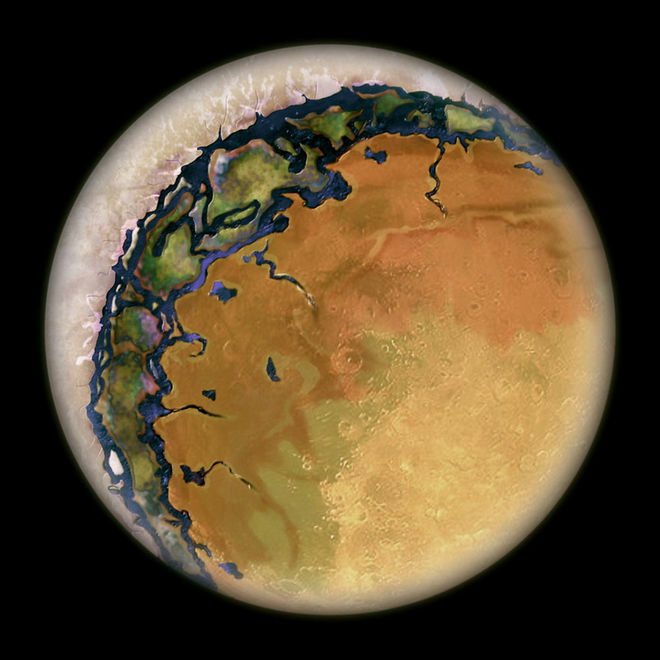 Much of the action takes place on planet tidally locked to Tau Ceti that has some rather unique characteristics. The novel is due to be launched on September 1st 2016, and pre-order is now available on Amazon! Read more about what happens in the story here! So what is tidal locking? Our Moon is tidally locked to the Earth, always presenting the same face to us. That doesn’t mean that the Moon is stationary, far from it, it just means that it takes just as long to rotate around its own axis as it does to revolve around the Earth. The same thing can happen for planets, which can be tidally locked to their stars, always presenting the same side of the planet to their star, giving those planets a permanent ‘day’ side and ‘night’ side. We could expect these planets to have some pretty unique characteristics, with a hot, dry side, and a frigid frozen night side. Some scientists have even dubbed them ‘eyeball’ Earth’s due to the likely combination of features that might develop. Tau Ceti is a G-class sun, around 12 lightyears from Earth. One of our close stellar neighbours. Could we expect that one of its planets would be tidally locked to its star? Well, it did not take me too much research to realise that this is one very complex question. It would indeed be surprising to find a tidally locked planet around Tau Ceti. Finding a tidally locked planet might be more likely around a smaller M class star. But there are many, many variables that might allow a planet to become tidally locked to its star within a reasonable fraction of that star’s lifetime. The variables that might increase the likelihood of a planet becoming tidally locked early in the star’s lifetime include the lack of a companion satellite (i.e. more likely if there is no moon), a low initial rate of planetary spin, a low dissipation function (the rate at which mechanical energy is converted into heat), a low rotational inertia . . . even the rigidity of the planet can be variable. So, all these variables gave me enough wiggle room to allow my planet to be tidally locked. Plus I had a secret weapon – a key bit of backstory that affected the planet’s spin at a key point of its history. But I can’t say anything about that either, not without giving away the story! Stars are classified based on their spectral characteristics. The M-class spectrum contains lines from oxide molecules, particularly TiO, with absorption lines of hydrogen typically absent. M-class are the most common of stars, representing over 76% of our stellar neighbours. So we might expect more than a few tidally locked planets out there. Of course these will be the smaller bodies, Earth-sized and smaller, so will not be well represented in our current exoplanet catalogue, which features a lot of big, Jupiter-sized and heavier planets due to the methods used to identify exoplanets (so far). M-class stars are light orange red in colour, from 0.08-045 solar masses and low luminosity (less than 0.08 of our Sun’s). This class features rare and exotic creatures that can rarely be seen by the naked eye, mostly red dwarfs, although some are red giants, or even red supergiants. The class also includes the intruiging brown dwarfs, which are ‘late’ class M stars. 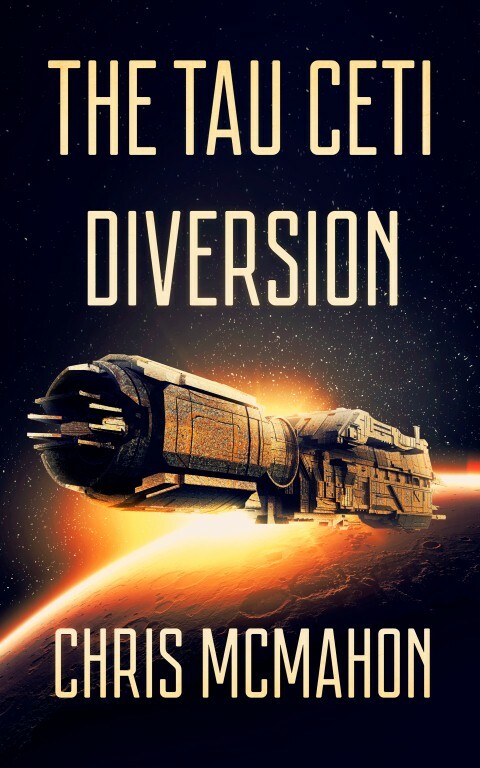 My novel, The Tau Ceti Diversion, a story about our search for new planets to colonise outside our solar system, is due to be launched on September 1st 2016, and pre-order is now available on Amazon! Read more about what happens in the story here! The Juno spacecraft’s JunoCam camera is now operational, and is sending data back to Earth. The camera was switched on six days after the exploration craft entered orbit around Jupiter. Although the first high-resolution images are weeks away, we have our first assembled image of the planet. The shot below was taken at a distance of 4.3 million kilometers from Jupiter (2.7 million mi) as it was moving into its capture orbit. Our remote pair of eyes, JunoCam, captured an image of Jupiter, complete with Great Red Spot, and shots of three of Jupiter’s four bigger moons. It’s fantastic to have received this tangible evidence of Juno’s operational status, and its survival of the extreme radiation that surrounds Jupiter. Juno has been specially designed to cope this this intense radiation environment, which can cause degradation of the spacecraft and instruments, noise from particle collision with detectors, and electric charging of the spacecraft itself. And Jupiter has a lot radiation to share. The huge planet’s magnetosphere extends out to 100 Jupiter radii – pretty astounding when you compare it to Earth’s magnetosphere, which extends to 10 Earth radii. This magnetosphere acts to concentrate and reflect solar radiation and cosmic rays from outside the solar system, and holds gases, like those ejected by Io’s volcanic activity, which get ionized and energized and emit their own radiation. Juno’s detectors and electronics are shielded by a half-inch thick titanium vault. Its external camera also has additional shielding – enough to make it four times heavier than even the biggest star trackers to date. The spacecraft’s orbit has also been specially designed to avoid the most intense radiation zones. In completing its mission, Juno will orbit Jupiter 37 times, going as low as 4,100 kilometers (2,600 mi) over the planet’s cloud tops. Juno’s scientific instruments will probe beneath the cloud cover and also study its auroras, allowing us to learn more about Jupiter’s origins, structure, atmosphere and magnetosphere. JunoCam will continue to send back images on each of its many capture orbits. 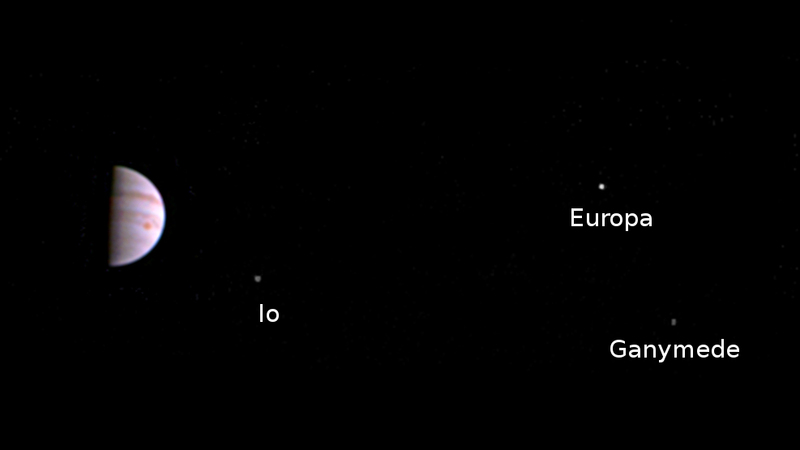 But for our first high-resolution images, we will have to wait until August 27 when Juno makes its next close pass to Jupiter. 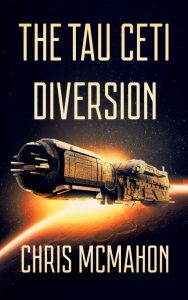 My novel, The Tau Ceti Diversion, a story about our search for new planets to colonise outside our solar system, is due to be launched on September 1st 2016! Read more about what happens in the story here! The number of new confirmed exoplanets – planets located outside our own solar system – continues to grow at an impressive rate. A massive amount of data is collected by space-based telescopes, which has to then be analysed and verified by astronomers. In the largest single announcement yet, NASA scientists have released information on 1,284 new verified planets, pared down from 4,302 potential candidates. When only decades ago there was not a single verified exoplanet, that number becomes staggering. This announcement more than doubles the number of confirmed planets identified by the Kepler space telescope. And with every new verified planet identified, the odds of identifying a true Earth-analogue increase. Before Kepler was launched, astronomers had no idea how common planets really were. Now it is thought that there are likely to be more planets than stars. When you realise there are billions of galaxies, each with millions of stars, that’s a lot of planets! Even if the chance of life was extremely low, the likelihood of life, possibly even intelligent life out there somewhere starts to look good. Missions like Kepler, combined with new technologies for getting actual pictures, spectrographic analysis and thermal maps of exoplanets (check out this post on capturing planetary snapshots), all point to some very exciting discoveries in the not-so-distant future. 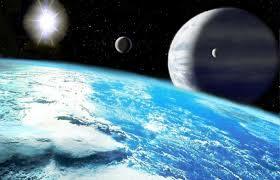 Of the newly identified Kepler planets, around 550 could be Earth-like rocky planets. Nine of these orbit in their sun’s habitable zone, now making a total of 21 confirmed exoplanets in the so-called ‘goldilocks’ zone where liquid water can exit on the planet’s surface, allowing the potential for the formation of life as we know it. Two of these habitable zone planets are in the Tau Ceti system (see here). The potential for life on one of these planets is explored in my novel The Tau Ceti Diversion, due to be launched on September 1st 2016! Read more about what happens in the story here! Kepler truly is the workhorse of planet-finding. 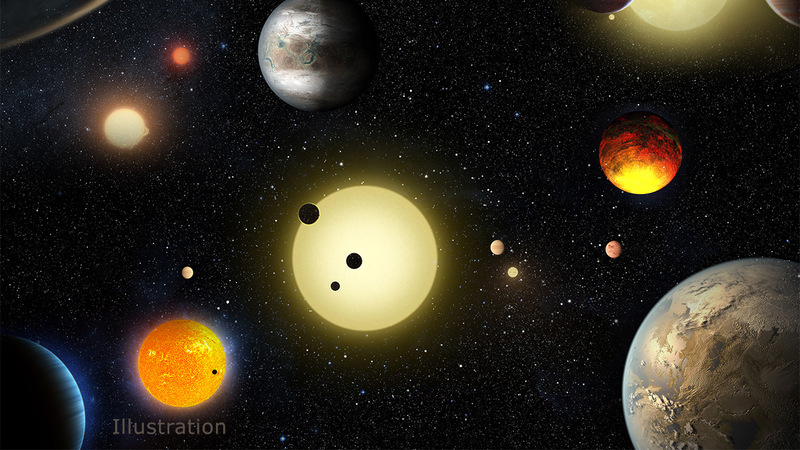 Of the 3.200 exoplanets identified to date, more than 2,325 of these were discovered by Kepler. Launched in March 2009, Kepler spent four years monitoring the same patch of sky – some 150,000 stars – watching for the telltale tip in a star’s brightness that indicates a transiting planet. Let’s hope that Kepler, and other missions like it, continue to increase our knowledge of exoplanets far into the future. 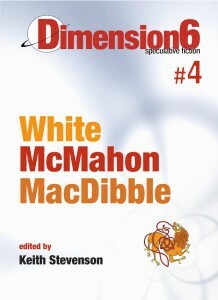 I’m very excited to announce my SF short Time Pump has just been published in Keith Stevenson’s Dimension6 ezine! Click here to download a free, DRM-free epub or here to download a mobi file! 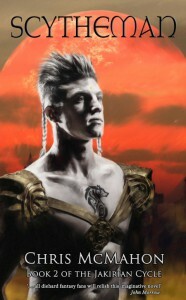 The story was born from an intriguing SF idea and gradually took shape through various edits and critique sessions. I’m sure quite a few of my former Vision and Edge writing group partners will remember this one. 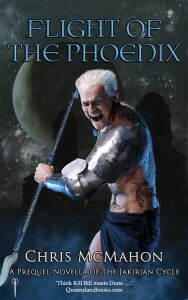 The prequel novella to my three-book Heroic Fantasy series Jakirian Cycle, Flight of the Phoenix, is also available as a free download from my website. Haunted by terrible visions, and battling his own fear of Sorcery, the aging weaponmaster Belin must face the magical assassins that stalk the capital Raynor and bring the newborn son of the fallen Emperor — the last of the Cinanac line — to safety. Check it out — it’s a great way to get a taste for the series. 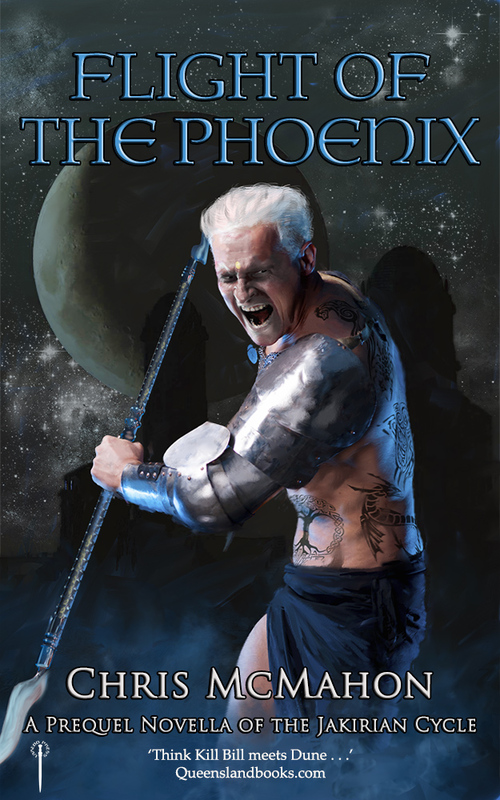 The Jakirian Cycle is Heroic Fantasy in a world of ceramic weapons, where all metal is magical. It’s had some great reviews and is available through my website in either print versions or in a variety of electronic formats and platforms. My favourite review tag line is ‘Think Kill Bill meets Dune!’ – I mean, how cool is that? Here are the covers, also by Daryl.